Gandhi Nagar is one of the busiest neighborhoods in Bengaluru. It has a population of 31208 citizens in an area of 1.93 sqkms. It is bound by Majestic, Chickpet and Malleshwaram. Seshadripuram, Ramakrishna Layout, Nehru Nagar, VV Giri Colony, Bangalore City, Kempegowda Bus Station, R.K. Puram, Gandhinagar, Upparpet, Chikpete belong to Gandhi Nagar Constituency. It is one the largest commercial complexes having over 200 retail establishments. It was developed in1989. The market offers unique merchandise and attracts people from all over the city. It is popularly known as Majestic Bus Station.The semi-circular bus terminal was built in 1980’s. It is one of the largest bus stations providing connectivity to all areas of Bangaluru. The bus station was opened in 1960. It acquired the name Majestic from the local theatre of the same name. Later it was named Kempegowda Bus Station to honor Kempegowda, the founder of Bengaluru. It is officially known as Krantivira Sangoli Rayanna railway station. It is located across Kempegowda Bus Station. It is the main railway station serving the city. It has 10 platforms and two entrances. It has been in operation since 1993. The central jail got converted into a lush green park. Every year Every year during the Chitra Purnima the Karaga festival is celebrated in Sri Annamma Devi temple. Every year The annual fair is celebrated in all parts of the city. Annamma Devi’s idols are rented and are taken to different parts of the city to be worshiped. These idols are called Utsava murthi’s. Sri Lakshmi Hayagreeva Sannidhi is a temple built by Sri Abhinava Ranganath of Parakala mutt in 1938. The main deity of the temple is Hayagreeva, an incarnation of Lord Vishnu. Kempegowda Bus Station popularly known as Majestic Bus Station was opened in 1980. 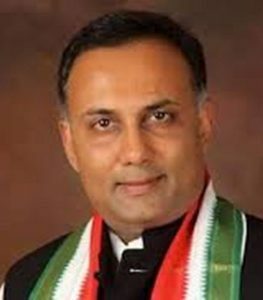 The former Chief Minister of Karnataka R Gundu Rao is credited with building the station. Bangalore Institute of Chartered Accountants of India was started with 110 members in March 1962. Bangalore City Railway Station officially known as Krantivira Sangolli Rayanna railway station was opened in 1993 as a main railway station serving the city of Bengaluru. Gandhinagar National Market is one of the oldest Markets for electronics in Bengaluru. It was developed in 1989.